When it comes to drawing, my medium of choice is usually ball-point pens (how basic). I know it’s limiting in how you can shade and blend marks, and you can’t erase mistakes. But that’s what I like most about drawing with a pen – it forces you to deal with the mistakes and turn them into part of your final artwork (Yeah, I went there. Classroom motivational poster, anyone?). It trains me to sketch quickly, but thoughtfully and not dwell on making every mark perfect (there I go again). It also helps me get over the initial fear of starting a drawing and of my perfectionist tendencies. 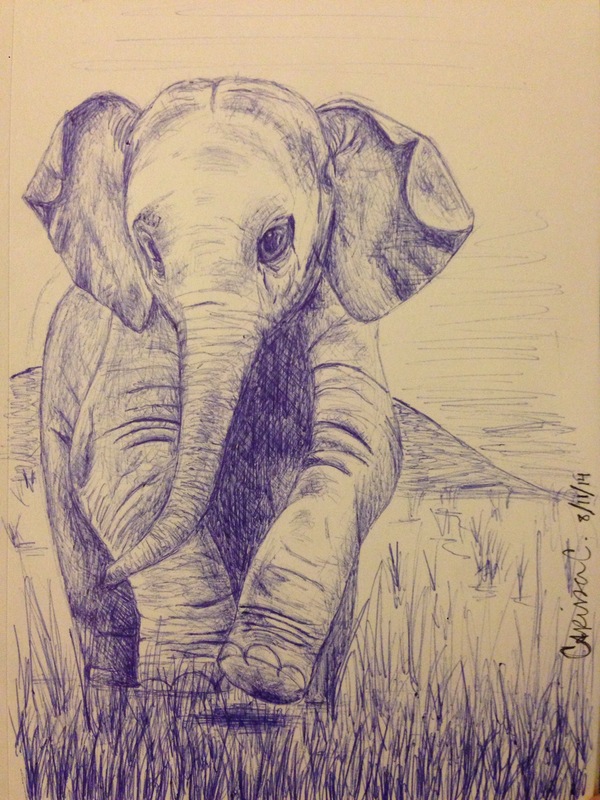 Everyone should try drawing with a pen…it’s actually a great mental exercise. I never know how to end these, yet (#amateur).